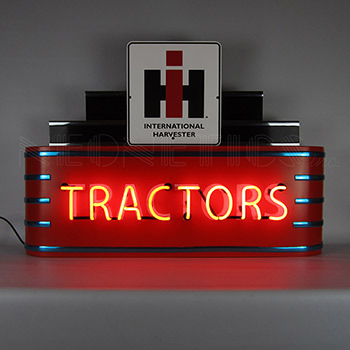 Art Deco Marquee Ih Tractors Neon Sign In Steel CanThank you for this lovely Ice Cream Neon Sign. This sign has lighten up my Ice Cream Parlour. One more thing want to add is I loved your service too.